From 10:30 a.m. to 4:00 p.m. 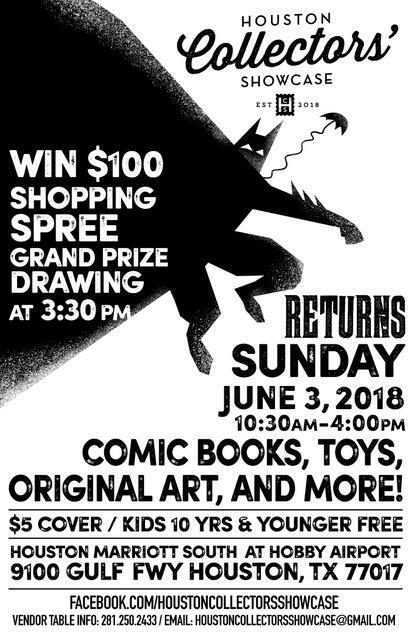 WIN a $100 SHOPPING SPREE with paid $5 admission. 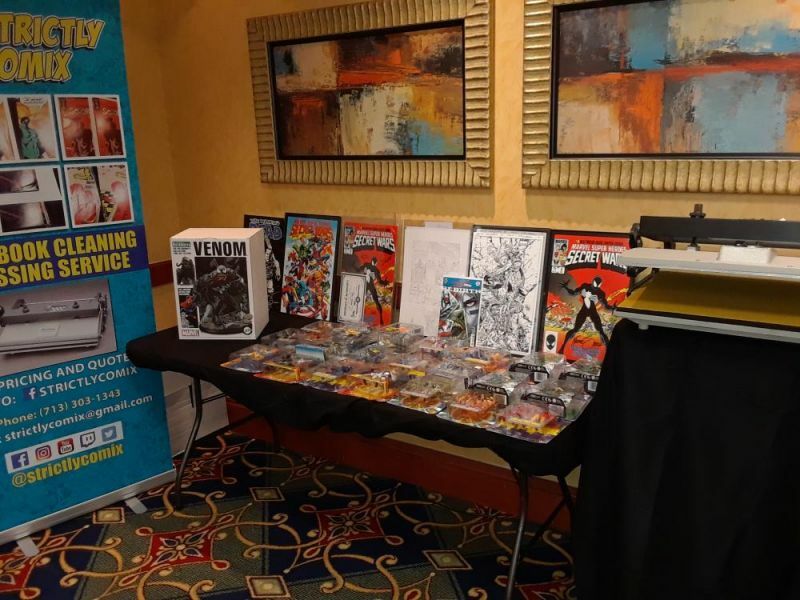 Drawing held at 3:30 p.m. Must be present to win !! 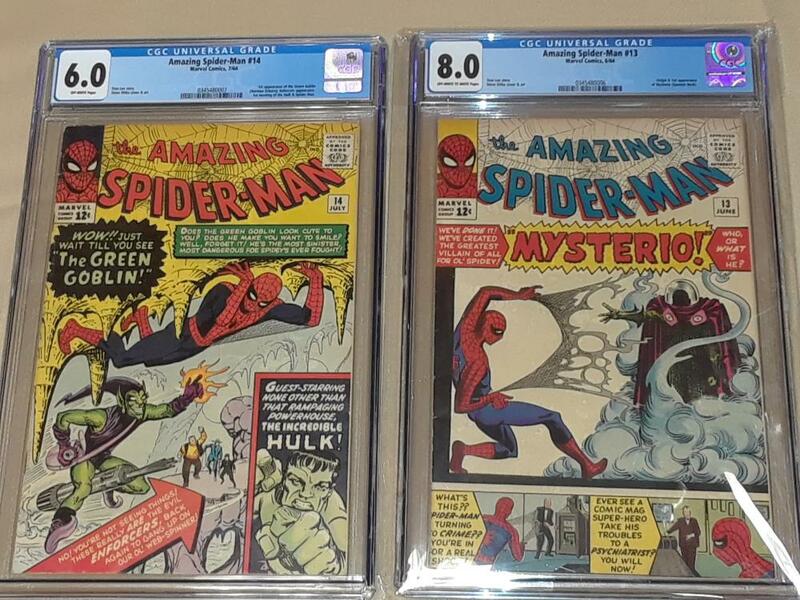 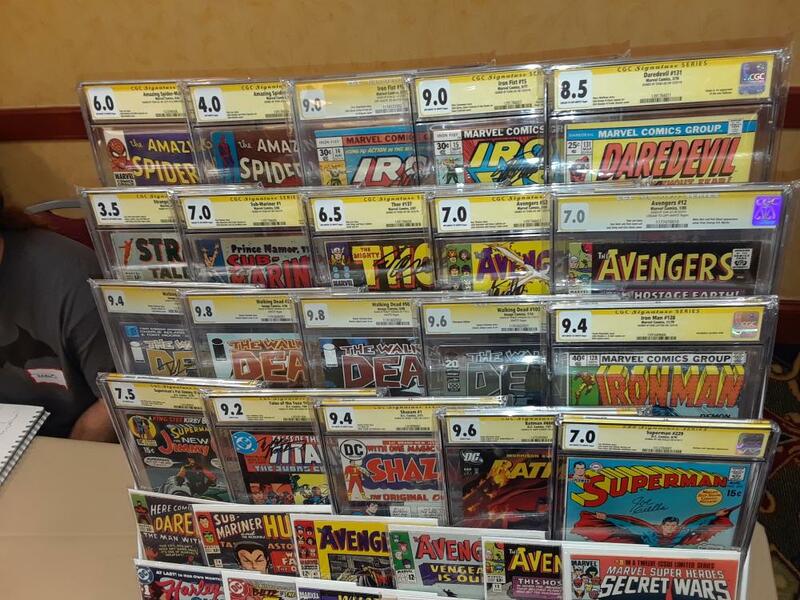 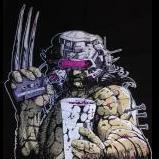 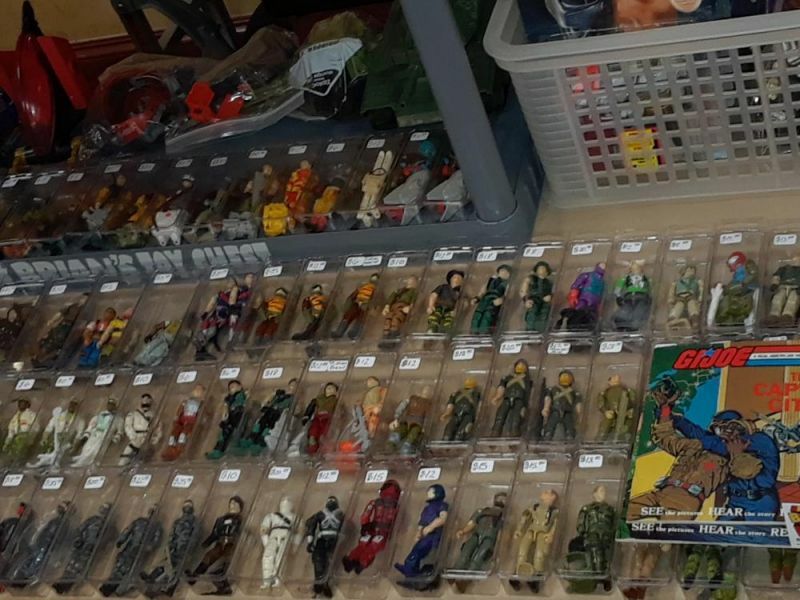 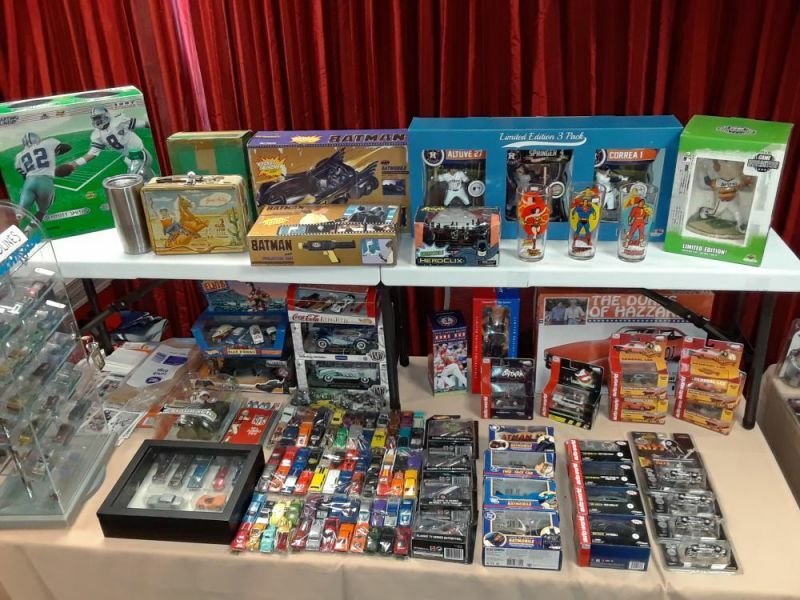 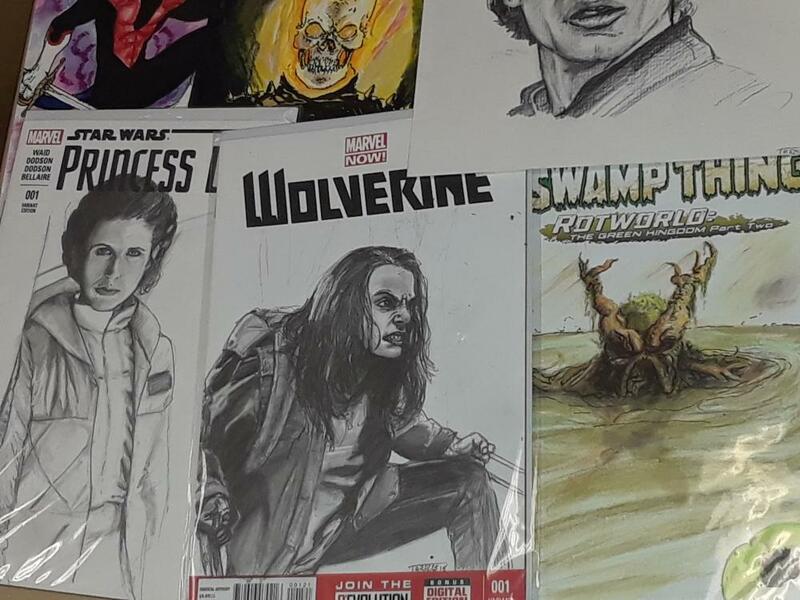 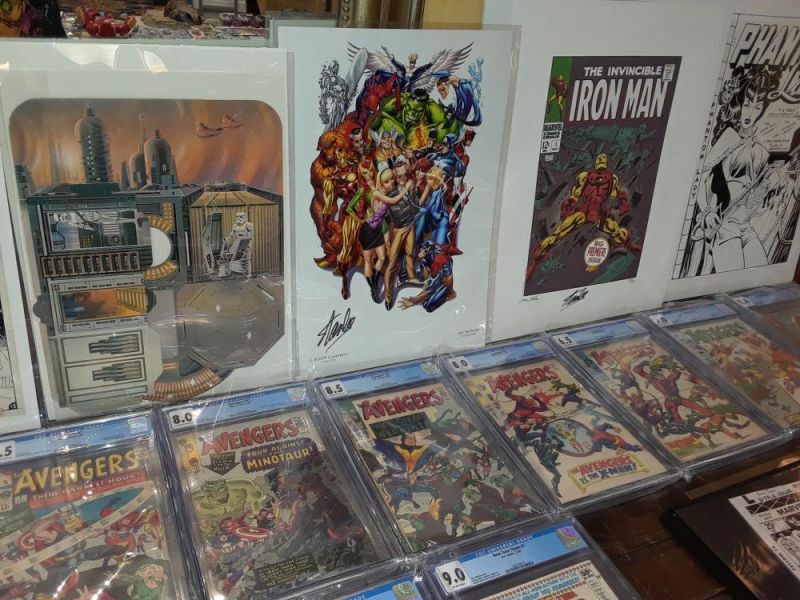 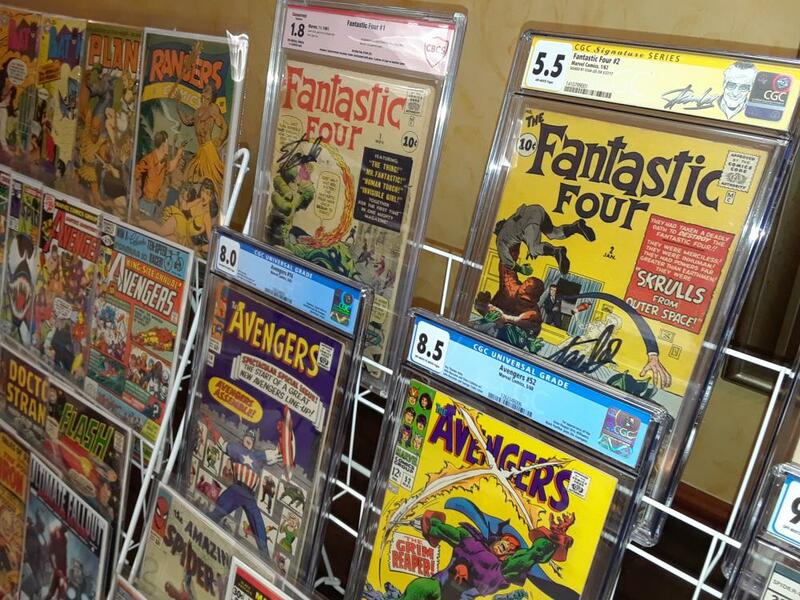 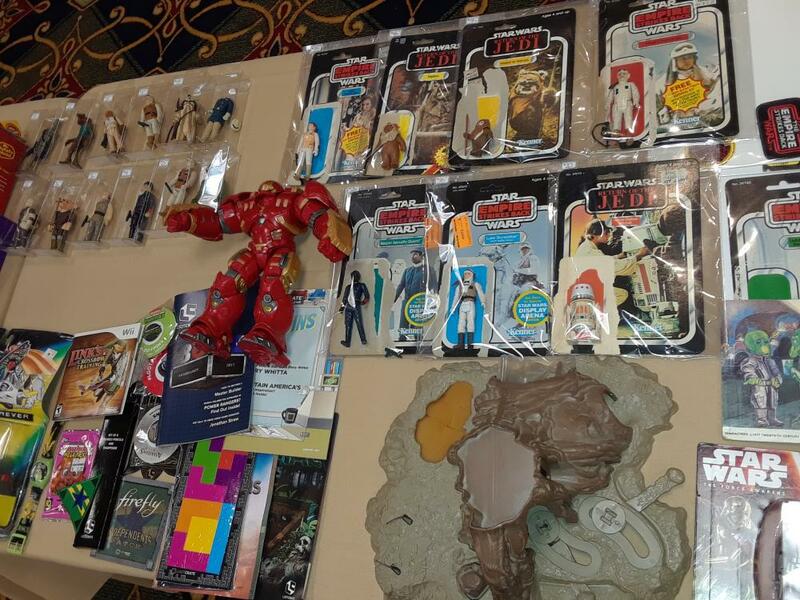 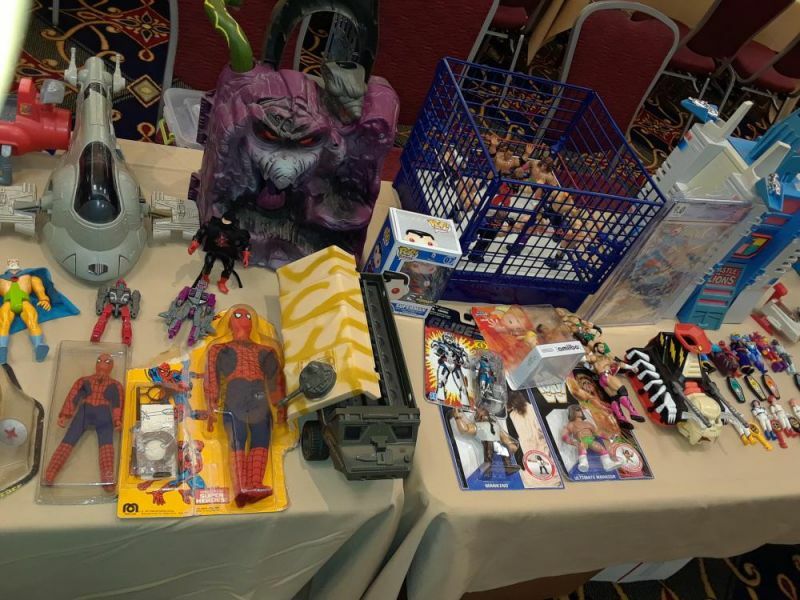 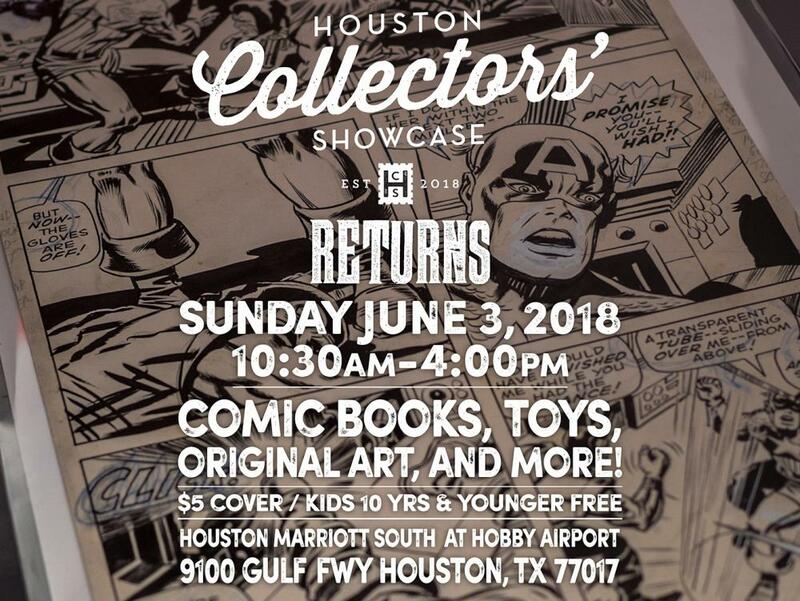 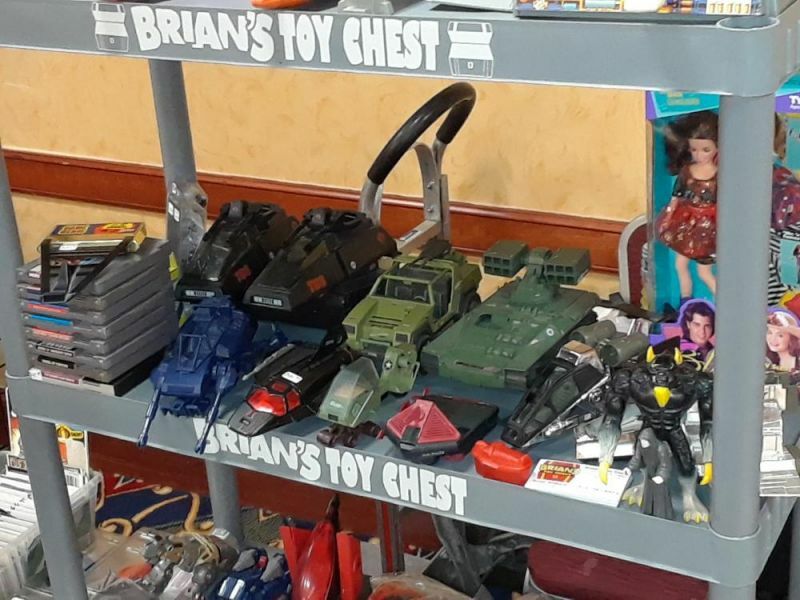 The Houston Collectors Showcase is hosted bi-monthly by local purveyors with collections ranging from vintage to modern era comic books, toys & action figures, original comic art, & a whole lot more awesome things! 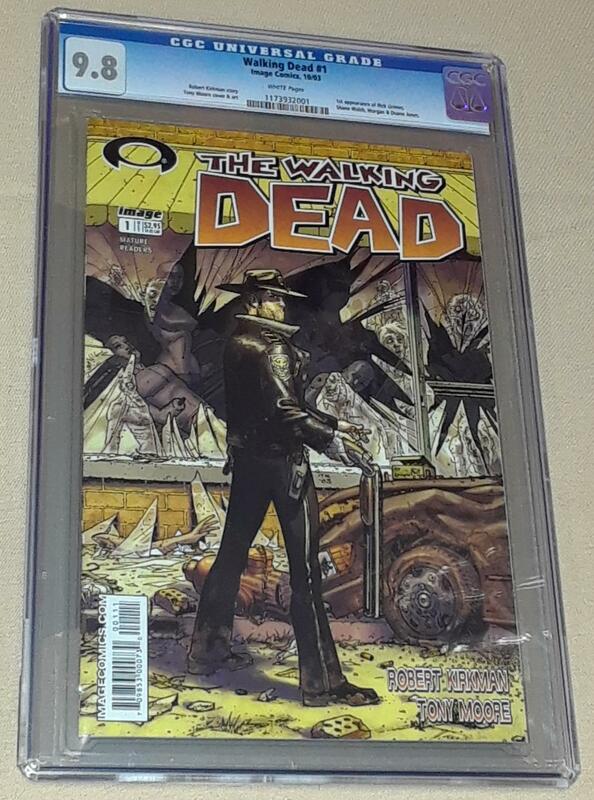 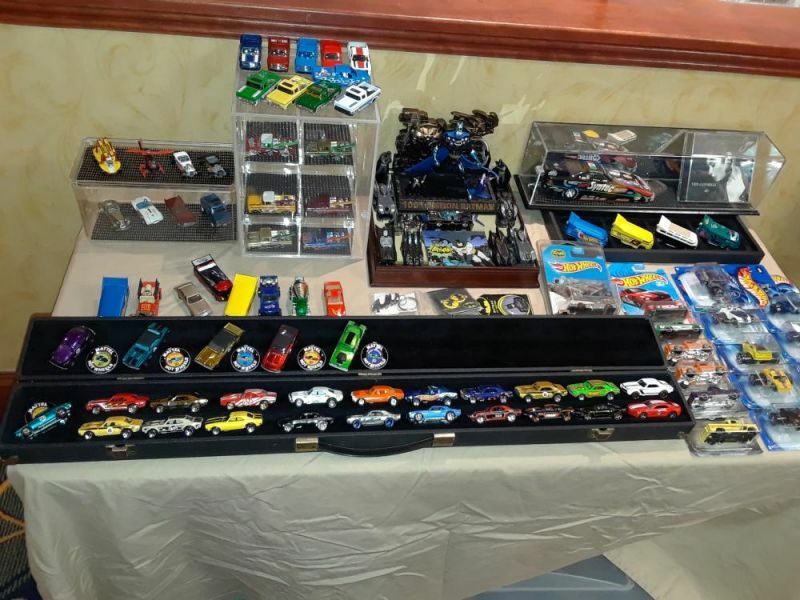 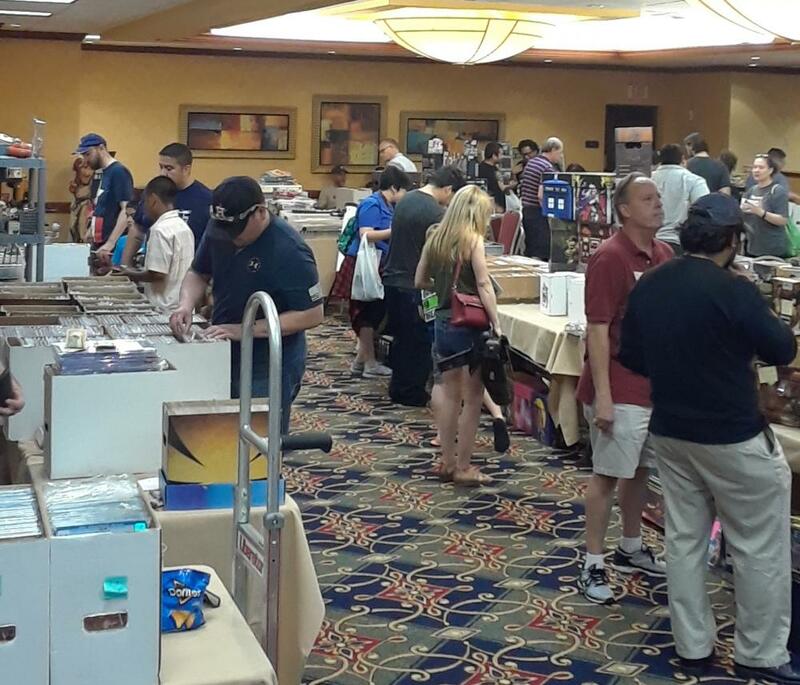 Join us & spend the day BUYING, SELLING, & TRADING alongside the BEST group in the hobby! 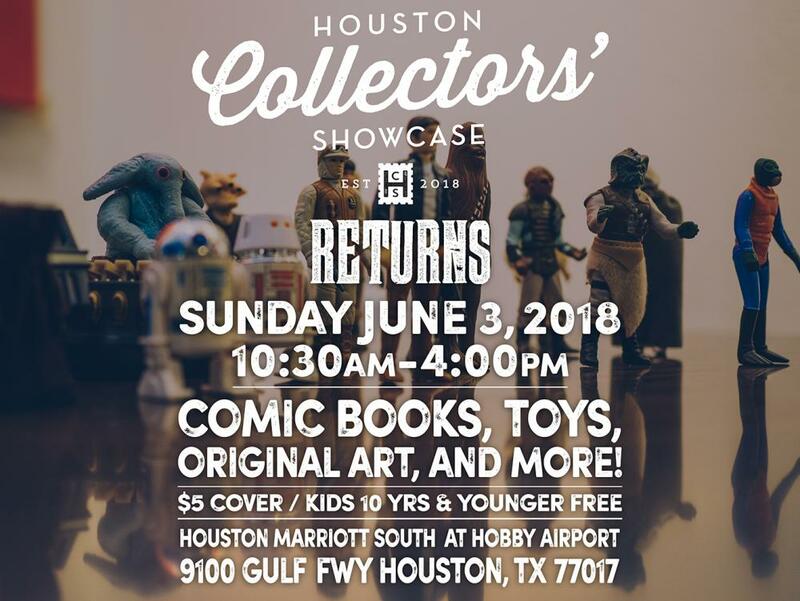 Remember to bring in your vintage collections as vendors will be BUYING! 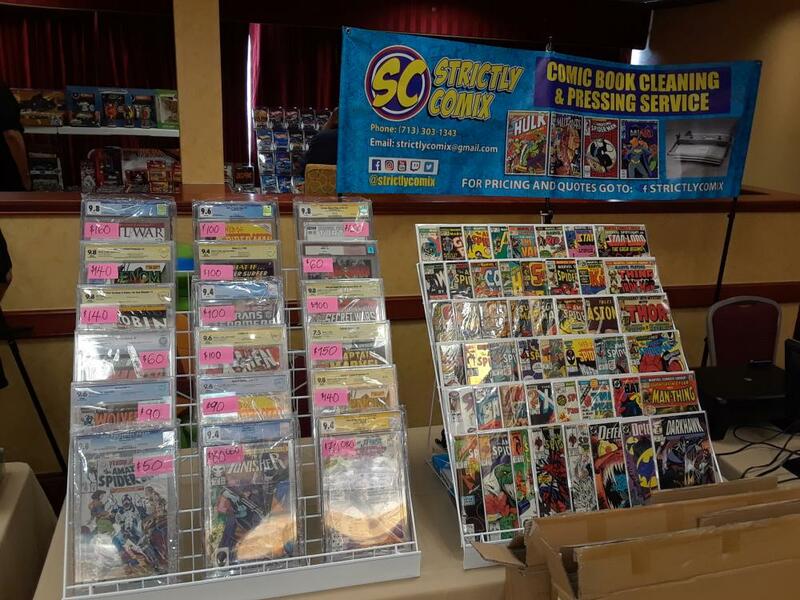 Hours: 10:30 a.m. to 4:00 p.m. 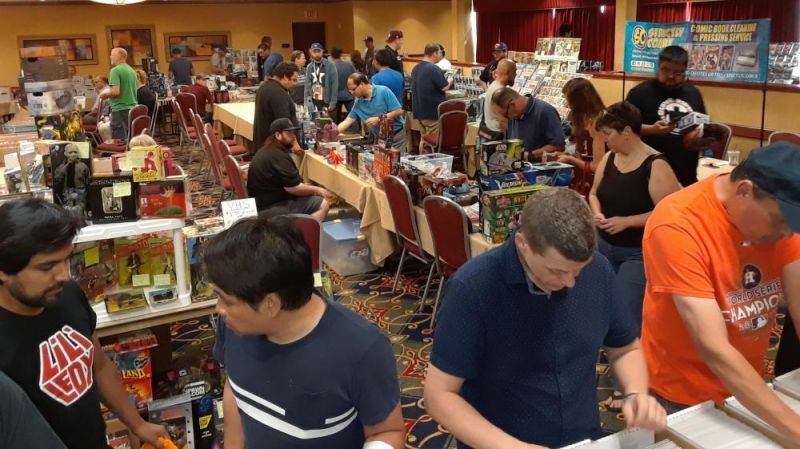 Vendors: 30 - 6 ft. tables are available. 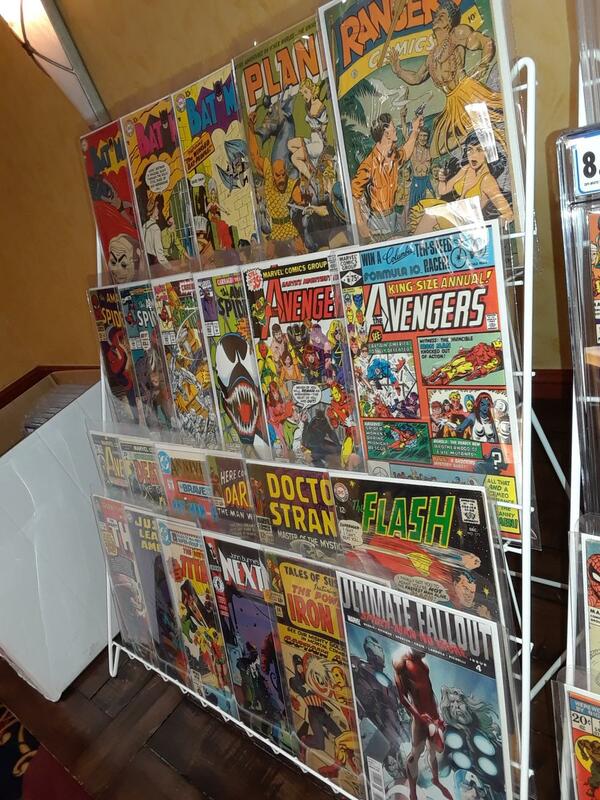 Pre-pay with PayPal, $40 each table.